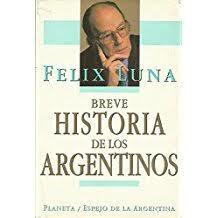 I have been reading, on and off for most of the summer, a book that I bought used in Buenos Aires when I was down that way in 2005: Ortiz: Reportaje a la Argentina Opulenta [Reporting on Opulent Argentina], by Félix Luna. I picked it up now, in my lingering post-Inaugural funk, in search of some insight—some mirrored reflection, perhaps, from WWII-era Argentina’s oligarchic society and presidential politics—into our parallel, if by no means identical, predicament in the latter years of this 21st century’s second decade. Who knew that, at the book’s most climactic and poignant moment, I would happen upon an answer to conservative columnist George Will’s recent complaint in the National Review (in the context of the current president’s intention of fulfilling the long-nurtured dream of certain Republicans of eliminating all funding for the National Endowments for the Arts and the Humanities) about the stubborn undefinability and dubious practicality of those suspect domains? Be that as it may, last night, as I finished reading the suspect pages in Félix Luna’s artful and innovative 1978 history of the brief, tragic presidency of Roberto M. Ortiz, I knew that I had the material for today’s essay. The mostly loose pages of my brittle copy of Ortiz, in any case, after having suffered the tender abuse of my scribbled marginalia and a spilled glass of water, have lost their spine and are held together by a rubber band. What drew me to the book was the author’s name. Félix Luna (1925-2009), a journalist, historian, and poet, was known to me as lyricist to a song that was the original inspiration for my novella, A Bride Called Freedom, and which I knew from the great folk singer Mercedes Sosa’s rendition of it. 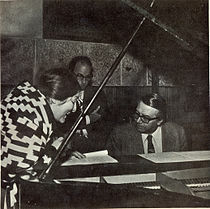 Mercedes Sosa with composer, Ariel Ramírez, at the piano, and lyricist, Félix Luna, at work on their album Mujeres Argentinas [Argentine Women]. Among its songs was “Dorotea, la cautiva” [Dorotea, the Captive], which inspired the novella A Bride Called Freedom. Luna also wrote the very useful A Short History of the Argentinians, which I purchased in its English translation during that same trip twelve years ago, and in whose pages I had also read (and then forgot) that particular man, Ortiz, who did not immediately stand out among the parade of more broadly known and less ephemeral characters. 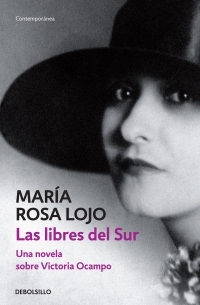 Another point of reference is to María Rosa Lojo’s novel Las libres del Sur [Free Women of the South], with its allusion to the name of its subject, Victoria Ocampo’s famed literary magazine Sur [South], which, aside from the Ocampo sisters, Victoria and Silvina, and essayist and fiction writer María Rosa Oliver, boasted such male luminaries as the Argentine stylist, Jorge Luis Borges; the Spaniards, José Ortega y Gasset and Federico García Lorca; and, among many others, the North American Waldo Frank, author of the Ortiz book’s suspect passage with its prescient answer to George Will’s question about the definition and worth of the arts and humanities. Of equal pertinence, if less directly, is Lojo’s latest novel, Todos éramos hijos [in my yet-unpublished translation: All of Us Were Children], which focuses on Argentina of the early-to-mid 70’s, in another parallel historical moment before, during, and immediately after Juan Perón’s brief return, after nearly two decades in exile, to the nation’s presidency. In all three of these parallel universes—Argentina, on the verge of Perón’s first decade in power; and again, three decades later, on the verge of the generals’ infamous and brutal dictatorship, with its tens of thousands of murdered and “disappeared” citizens; and our own America of the Obama-Trump era—lies the specter of a rising authoritarianism that either is itself or closely resembles fascism. If any proofs of that association remain necessary, after the recent spectacle of enraged white-supremacist nationalism in Charlottesville, I recall the witness (reported by some media sources during the run-up to the 2016 election) of one or two Holocaust survivors, elderly women who said that the present mood in the United States was eerily reminiscent of Germany’s in the 1930’s. I would think that, if anyone knew, it would be they who had been present. But, back to Luna’s Ortiz. 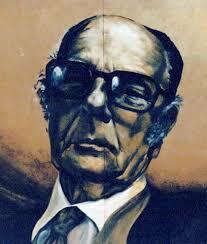 Its subject, if I may elaborate a bit on the above-cited sentences from Crassweller’s book, was the son of Spanish immigrants, born in Buenos Aires, who, with a combination of political acumen and a reputation for knowledgeable, intelligent accomplishment and what we would call bipartisanship, became the compromise candidate for the winning coalition of conservative and associated parties in the 1937 election. His presidential inauguration in February 1938 came at a time—after the 1930 coup that had ended a decades-long period of constitutional governance and orderly elections—of blatant electoral fraud and political violence. The outgoing strong-arm president, who by law could serve more than one term, but not consecutively, fully expected that Ortiz would carry on with the old program and turn the reins over to him again in six years. But Ortiz, hardly a fiery revolutionary but a convinced and genuine small-d democrat, located on a scale somewhere around Aristotle’s “golden mean,” instead began a determined campaign of electoral reform and accountability that quickly won him a strong popular support and love that would in little time, after his inevitable downfall, be transferred to the only-superficially democratic Perón (or “democratic” by a more authoritarian definition) and his charismatic wife, Evita. Aside from that, given the remarkable political skills that made him so resilient to all the dirty tricks his opposition threw at him, for a brief moment he seemed almost invincible. By the climactic moment in this virtually Shakespearean tragedy—all that remains, after last night’s reading, is Ortiz’s resignation and immediate death and Luna’s closing synthesis of elements and conclusions—Ortiz is functionally blind and hoping for a surgical fix that might restore enough vision so that he could return to office. Meanwhile, in a pattern eerily similar to our current president’s feverish dismantling of Barack Obama’s nominally progressive legacy, the vice-president whom political expediency had forced on Ortiz has been busy dismantling all of his strategic victories. While in his personal life, aside from the political and medical travails that dogged him, and the dark, menacing backdrop of the European war that conspired against the whole democratic program, Ortiz was overwhelmed with grief over the unexpected death of his beloved wife, constant companion and confidante. So it is here that I must pause on a note about the poet-historian’s narrative style. This has to do with the “disconnected, even absurd” fragments—actual texts from the national media of the day: newspapers and magazines, radio broadcasts, and so forth; the crass ingenuousness of its advertisements, the pretentiousness of its society pages, the celebrity gossip and reviews of theater and cinema, the spectacles of sports, crime, politics, science—that he inserted at the end of each chapter. “The explanation,” Luna writes, “is that I have not found another artifice more capable of carrying the reader, intuitively, with the magical contact of flower against skin, to the surface of Ortiz’s country, of that Argentina still innocent, sentimental, and credulous, attached to conventionalities, words, and rites” from a traditional, local society on the verge of international significance and transformation. It is a literary device designed to give a more complete picture, than the personal and political drama itself can deliver, of this newly prosperous Argentina in transition, this nation with its increasingly confident working class and a critically dysfunctional political class (with its “miopic, egotistical leaders” who, out of pride and the love of power, would not make a single concession to the people’s apparent will and Ortiz’s visionary reform) and the oligarchy it represents. “SUR turns ten years old. The new barbarians, provisioned with technologies that they have inherited from European culture, are destroying Europe’s freedom and, as these lines are being written, hurling tons of explosives on the English populace, while all the world’s material resources and many of its intellectual resources are being employed on the perfecting of the means of destruction. “I just wrote two sentences: one brief and the other long,” the essayist continues…. I wish to demonstrate that they are related. SUR represents a creative effort of the human spirit: it is a cultural organ in which all Americans should take legitimate pride, since it directs and projects the traditions of literature and art toward the needs and experiences of the present. Its origin is the great tradition of the Western world that began in the Mediterranean, and its life bears our dreams and our plans, our love, toward the future. The disastrous fact that I have consigned to my second sentence—the new barbarians’ war against the human spirit—also has an origin in the Western world’s past. It is not a coincidental horror. It is an inevitable fruit of the errors and immaturity of that world, in the same way that SUR is a consequence of the more-or-less fulfilled aspirations and endeavors of that world. The springs, today, are more tense than ever. Paris, beneath Hitler’s obscene boot; London, a solitary battle field; Madrid, prisoner of the betrayers of Spain and of Jesus. It is difficult to continue thinking that we face a crisis of truth [or: true crisis?] and not a result of what has for ages been the world’s typical condition. But that knowledge is essential if we are to transcend said typical condition. And there lies SUR’s function. An entity like SUR never openly governs: it does its work secretively and obliquely in the hearts of men. But its work is the Word of human freedom and dignity. There is no other literary organ in the Americas today whose devotion to these values is more intelligent than that of SUR. And Europe’s twilight confers on SUR a worldwide preeminence. Therefore, SUR is not a simple local celebration; it has worldwide importance in the vast American world to which history provides, in this moment, a decisive hour. Waldo Frank, in Sur, Year X, December 1940. Leaving aside any modernist or romantic excess of the impassioned chronicler—we may, after all, learn as much or more about humane and democratic living from the Indigenous peoples of the earth, whom we have tended to rather thoughtlessly dismiss as barbarians or savages—the statement is good in its articulation of a practical and moral justification of the literary and other arts as they exist alongside governance and commerce. What good are the arts and humanities, our civilization’s resurgent barbarians want to know? Oh, nothing much: it is just, given their origins within the spiritual aspirations and nascent religions, philosophies, and sciences of our species, that they are the basis of our humanity, the formation and nourishment of our conscience; in the eloquently utilitarian words of 20th-century rhetorician Kenneth Burke, “equipment for living”; they do not dictate, they do not propagandize (except, as Burke has also pointed out, in the pure sense of reasoned and impassioned persuasion), but reveal in all their nuance the complex and ambiguous realities that face us, from a virtually limitless variety of perspectives, in our own voices and in the voices of others, through our own eyes and through the eyes of others; so that, standing against the peddlers of division and fear, of hatred and endless warfare, we may learn the arts of tolerance and a common citizenship, even a universal citizenship (citizens of the world, as Borges would say)—maybe even in time to save ourselves and a livable habitat from the false determinism of a nature exclusively red in tooth and claw. But there I go again, tilting at windmills like Luna’s poor, noble, pathetic Roberto Ortiz, like Cervantes’s idealistic and lucid lunatic, Don Quixote, dreaming “impossible dreams” that might or might never be realized. And yet, don’t those humane visions nourish our spirits much more than the deadly, broken logic of warmongers and the punitive masters of fear and austerity? 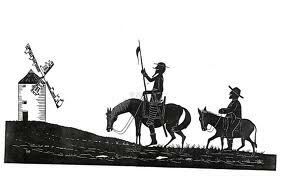 Doesn’t noble Don Quixote—sprung from Cervantes’s imagination like Athena from Zeus’s head—still live in the human heart with the clarity of humankind’s most obstinate, enduring hopes? Doesn’t Ortiz’s failed but virtuous quest inspire beyond the apparent futility of death—and bear fruit in the labor of later generations? Other dawns have followed other dusks, in Argentine as well as American history. Surely it is never too late to appeal to the better angels of our human nature. And even though we fail, who knows what bedraggled, wised-up phoenix might still be born from the ashes of our faith, our folly, and our love in action? For perhaps the coming apocalypse, if not wholly averted, might preserve a remnant capable of imagining a better civilization than this primitive one we left in tatters. This entry was posted in Uncategorized and tagged A Bride Called Freedom, A Short History of the Argentinians, Brett Alan Sanders, Fascism in Germany & Argentina & U.S., Félix Luna, George Will on Trump's plans to defund NEA and NEH, Las Libres del Sur, María Rosa Lojo, Mercedes Sosa, Ortiz: Reportaje a la Argentina Opulenta, Perón and the Enigmas of Argentina, public purpose and value of arts and humanities, Revista Sur, Robert Crassweller, Roberto M. Ortiz, Todos éramos hijos (All of Us Were Children), Victoria Ocampo, Waldo Frank. Bookmark the permalink. Brett, your conclusion in the last four paragraphs about the value of the arts and humanities is eloquent. Reminds me of Ra, standing in a shaft of light in the opening of Shaw’s Caesar and Cleopatra and saying that it is the nature of the gods to forever struggle with the dust. What a never ending struggle! I also particularly liked the phrase that the arts and humanities are “equipment for living.” Good points all. Thanks for your sustaining words. They mean a lot to me.